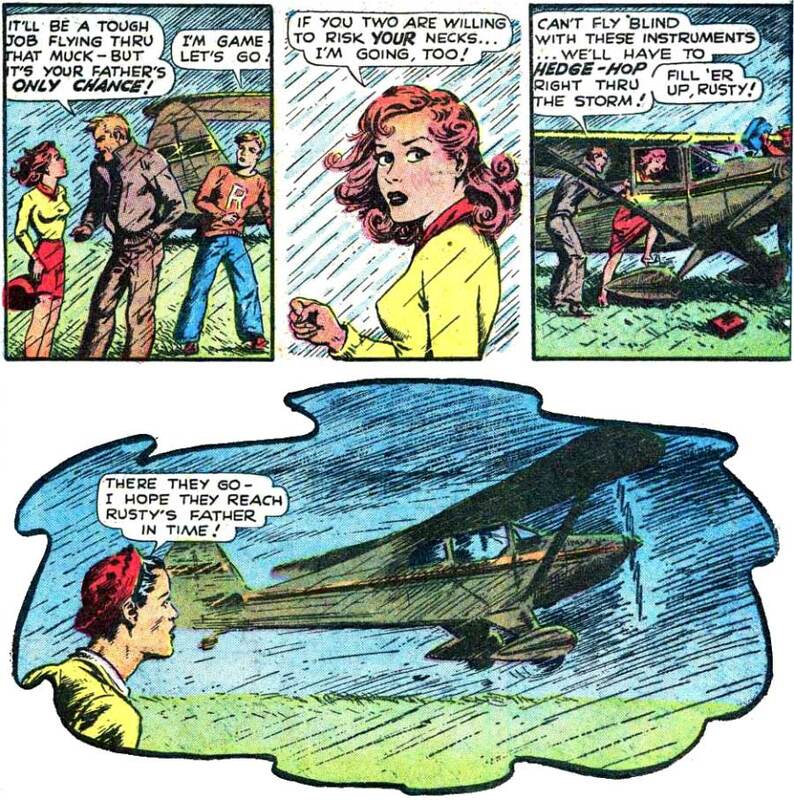 Art by Frank Tinsley from SKYMAN #2, 1942. Click on art to enlarge. To read the entire original story, check out the Yankee Doodle Dandy story in SKYMAN #2 for free on ComicBookPlus.com. WOMAN: I can’t sleep with both of you? Okay, i pick you…But, as soon as the dog gets de-skunked, it’s his turn!